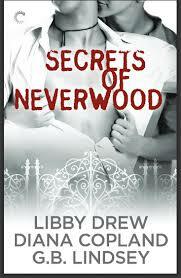 BLOG TOUR and GIVEAWAY: The Secrets Of Neverwood by G.B. 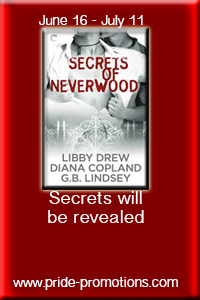 Lindsay, Diana Copland and Libby Drew | Because two men are better than one! Cal struggles to recover from past heartbreak, while Danny fears his mistakes are too big to overcome. Devon believes he may never break down the barriers that separate him from honest emotion. And a benevolent spirit lingers in Neverwood’s halls, intent on guiding her foster sons away from the mistakes of their youth and toward true love. Diana Copland began writing in the seventh grade, when she shamelessly combined elements of Jane Eyre and Dark Shadows to produce an overwrought Gothic tale that earned her an A- in creative writing, thanks entirely to the generosity of her teacher. 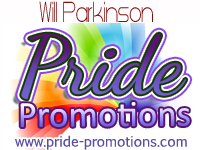 She wrote for pure enjoyment for the next three decades before discovering LiveJournal and a wonderful group of supportive fanfiction writers, who after gifting her with a “Best New Author” Award encouraged her to try her hand at original gay fiction. Libby Drew glimpsed her true calling when her first story, an A.A. Milne /Shakespeare crossover, won the grand prize in her elementary school’s fiction contest. Her parents explained that writers were quirky, poor, and often talked to themselves in supermarket checkout lines. They implored her to be practical, a request she took to heart for twenty years, earning two degrees, a white-collar job, and an ulcer, before realizing that practical was absolutely no fun. I have enjoyed this anthology but felt the romance in books 1 and 3 a little lacking. Each story can be read as a standalone but I think it’s best to read all three to get the true feeling of Neverwood and Audrey. Book 1 was a little overly descriptive for me and I felt that Will and Cal didn’t communicate with each other all that much. It felt that most of the romance happened during the internal dialogue and not that much was actually spoken, It has a nice ending though! Book 2 though, rocked my socks! I loved this story and Sam and Danny were great together. The side characters were lovely and I would love to hear more about some of them. The romance in this second installment shone through and I would like to see a sequel with these two. Danny, despite his young age of 21 was quite strong and he help Sam through his family problems without thinking of himself. He was a great character to get to know. I really liked how Audrey communicated with all three of her sons and she would have made a great story by herself. She was such a huge presence with all three of her foster sons and it was lovely to witness the love that never died.